Skin is one of the greatest protection barriers that a child is gifted with from the moment of birth, and this is why it is so important to choose the right skin care. Sensitive baby’s skin requires constant moisturization to avoid dry patches and possible skin rashes around areas that come into constant contact with diapers. Nowadays, there are many varieties of baby lotion with calming and hydrating effects such as the ones with the addition of lavender and rosemary extracts to aid mothers in putting their children to sleep. Lavender and Rosemary have long been proven to aid with sleep; you can read more about their effects here (Source). How does baby lotion work on sensitive skin? This Bump Award Winning baby body lotion was developed by dermatologists and pediatricians using organic essential oils such as Grapefruit and Lavender that go through several stages of purification that serve as the base for the lotion. This infused botanical blend is then combined with shea butter, jojoba oil, Glycerin and vitamin E. All ingredients go through strict testing, as well as quality control, and they have been certified as non-toxic, hypoallergenic, organic, and gluten-free. Lavender essential oil is known to ease all sorts of irritations, burns, and lacerations. It is also attributed to having general stress-relieving properties. Lavender infused lotions are believed to even ease the symptoms of colic in babies that are older than two months. Moreover, Puracy products are US-made and never tested on animals, making them the perfect choice for high quality baby lotions. This organic baby lotion gently hydrates all the layers of your baby’s epidermis, locking in moisture deep inside the skin cells preventing chapped skin. It can be used throughout the day, especially after bath-time as lavender tends to calm babies and facilitate quick sleep. Furthermore, Puracy offers four different options suitable for different skin conditions, including sensitive skin that is prone to eczema and diaper rashes. Plus, Puracy organic lotions were featured on CNBC, Fox, Today and CBS news. In addition, online publications such as Bravo, Motherhood and Pregnancy Network have strongly endorsed it too. It’s no surprise, though. Puracy Natural and Organic Household Essentials have gained widespread recognition for being an Austin based company that took the baby skin care market by storm. This success is primarily attributed to Puracy completely bypassing any and all harmful chemicals such as preservatives, colorants, petroleum and animal-tested ingredients. All products are made using eco-friendly components that with time biodegrade in the environment. Aveeno was launched in 1945 by a scientist who found a way to combine natural ingredients and extracts to produce calming lotions that moisture the tender baby skin and nourishes it over a period of several hours. This Aveeno baby lotion is made using soothing oatmeal and dimethicone formula. In addition, the formula is enriched using different vitamins, glycerin, and flower extracts. Plus, the chamomile and vanilla extracts add a pleasant, light scent that calms the baby at nap time. Moreover, colloidal oatmeal that is used in the production of these lotions is often recommended by dermatologists as it tends to not only moisturize but to form a thin barrier of protectant over the skin and works great at normalizing the pH level of the skin. Aveeno baby lotion has been tested clinically over several stages and was found to work best with light massages after bath time. It helps to relax the baby overall, which in turn aids babies to fall asleep faster. It is made using only natural, tested ingredients without any colorants or fragrances and it is never tested on animals. The added glycerin helps heal small cuts and pimple breakouts. The formula has a perfect consistency, not too thick and not too runny, making it easy to squirt the amount needed. You can use it on the face as well. The bottle is quite large and it comes with a nice, easy to use pump. You don’t have to pick it up every time, can just conveniently place it on diaper changing table. You can also find the lotion in a smaller bottle to be carried in the bag when you go outside. Organic Baby lotion for sensitive skin is US made using certified, vegan ingredients such as calendula, chamomile, basil leaves and aloe vera (Source). Gluten-free coconut oil is used as the main moisturizing ingredient along with added pentanol that doubles as sunscreen. This baby lotion is suitable to be used on newborns as it contains no harmful ingredients such as parabens, colorants or sulfates. It was produced for all types of skin including skin prone to diaper rash and cradle cap. This organic baby lotion was created by a mom of two children, from Sacramento, California, who thoroughly researched all the harmful chemicals used in baby products and decided to start her own line of 100% organic baby products. One such organic ingredient that she swears by, is the aloe vera juice that contains over 100 beneficial components including over 12 vitamins and 15 minerals. This makes it a perfect component to protect tender baby skin from free-radicals used in so many other baby lotions. Plus, it has great anti-inflammatory properties. 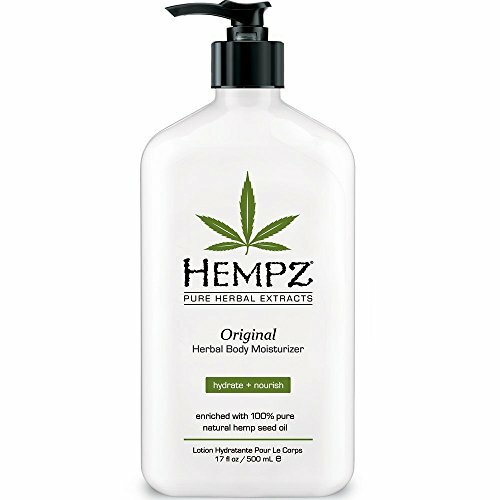 The formula used in the lotion is over 85% plant-based. Avocado, olive and grapeseed oil soothe the deep layers of the epidermis. Added folic acid helps retain moisture for a prolonged period. Hence, you can easily apply this baby lotion only once a day. Organic calendula, rosemary, lavender and giant kelp are used to condition and nurture the skin. This lotion does not contain chemical preservatives but instead relies on natural ones extracted from various essential oils. It consistently ranks “as safe” and “very safe” on EWG Skin Deep Database whereas some popular options of baby lotion rank as “hazardous”. This Aveeno baby lotion for delicate skin is made using oat kernel flour that is highly recommended by dermatologists and pediatricians as it helps to lock the moisture deep within the skin, thereby prolonging the period that the skin is nourished. Moreover, the added dimethicone is an organic substance, derived from vegetables, that acts like a silicone seal preventing the loss of moisture from the skin layer. It also protects the skin from diaper wetness and moisture related rash in the diaper bag area. Whilst the glycerin is a medical component that helps maintain the healthy pH skin barrier, it has absolutely no side effects even if used on babies that are only a few days old. The formula was formulated using the latest production technologies. 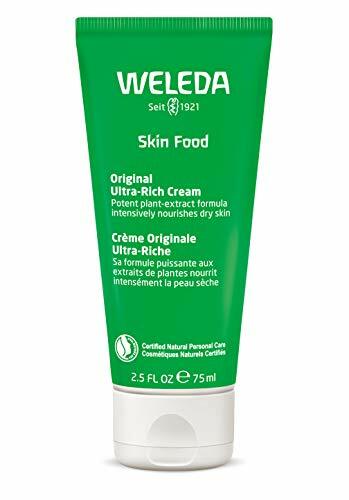 The formula was carefully created to ensure that it does not clog pores, cause break-outs, and that it is suitable to be used on all parts of the baby’s body. Just like other Aveeno baby products, it is made using only chemical-free ingredients. Hence, it does not contain harmful sulfates, parabens, alcohol and dyes or fragrances. It is also free of nut and dairy traces. You can also complete your baby’s skincare routine by purchasing a gentle, tear-free shampoo from the same product line. Overall, there are five different baby lotions in the product line. Each is designed to target a specific skincare routine. For example, you can purchase this lotion with oatmeal or lavender extracts. An oatmeal option will be perfect for sensitive skin, whereas lavender lotion is a great solution for children who get anxious around bedtime. It will help ease their nerves and normalize their mood by calming their anxiety. This TotLogic is the best organic baby lotion for sensitive skin since it is made using locally grown botanical ingredients, such as cotton and garden rose, which are rich in antioxidant components. Moreover, additional ingredients such as sunflower oil, tea tree essential oil and lavender with bergamot extract make the lotion suitable for various skin types. It contains no dyes, artificial scents, parabens, sulfates, and phthalates. Instead, it is lightly colored using natural options, for example, lavender and red roses. Different essential oils and extracts play a secondary role too, they are meant to add a pleasant, light and natural scent. The sweet orange and Green Lime act as antibacterial ingredients and add a citrus note to the overall scent. Moreover, this baby lotion formula contains no SLS, DEA, petroleum, and SLES (Source). All TotLogic lotions are US made adhering to strict production technologies and FDA quality control. Plus, you will be doing your environment a favor as this baby lotion is 100% vegan and is certified as animal-testing free. The consistency of the lotion is on the thicker side but this makes it only more suitable to be used on dry and patchy skin. The bottle is made from recycled plastic and is on the large side, without the usual pump. However, it is still comfortable to hold and squirt out the exact amount needed. 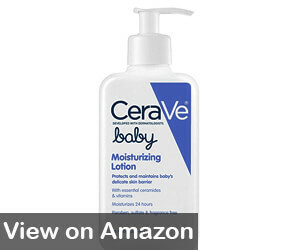 This product is a timeless product in Johnson’s Baby Skin Care portfolio and the baby lotion market overall. Johnson’s reputation proceeds itself and this gentle baby lotion is no exception. Made with only baby skin safe ingredients it works at nourishing even the driest of skin layers and helps soothe the cradle cap . Its thick, velvety, alcohol-free formula ensures that the moisture is delivered deep within the skin layers and thanks to a special ingredient the moisture gets locked in for up to 24 hours. Like the lotions above, it too contains no harmful ingredients such as parabens, sulfates, and colorants (Source). The lotion has gone through years of strict animal-free testing and has been approved by dermatologists and pediatricians alike. Its formula is infused with beneficial botanical extracts and flower juice. It has a rich, creamy scent that most of us will remember from our own childhood. It’s come in a very familiar pink bottle with a dosimeter cap that makes squirting the right amount a breeze. 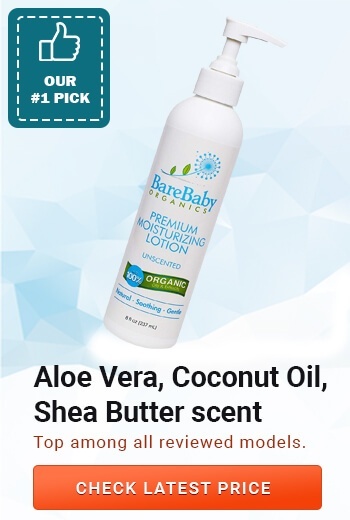 It is super moisturizing and makes the best baby lotion option. Small babies lose skin moisture twice as fast an average adult does, combine that with the frequent washes they require and you will be looking for something extra hydrating in no time. The formula is creamy and extra thick but it absorbs quickly and does not leave any greasy residues behind, so you can go ahead and apply just before dressing your little angel. CeraVe baby lotion has been developed with a therapeutic effect in mind and contains necessary ceramides and B group vitamins that are vital for healthy skin. This formula enhances deep layer moisturization as well as damaged skin cell restoration. CeraVe lotion has been studied and approved by the National Eczema Association for it has been proven to ease its symptoms within 24 hours. Instead of using the common coconut oil, CeraVe lotion uses Caprylic Triglycerides. It’s essentially the same as coconut oil only without the fatty acids. This makes it much easier to be absorbed by the skin and eliminates clogged pores. Coconut oil and eczema do not go together, but caprylic triglycerides and eczema match perfectly. It helps rebuild the different skin barriers and thanks to no fragrance it does not cause irritation. Plus, it does not contain any parabens, sulfates, and colorants. Its light lavender color is derived from the lavender extract that doubles as a pleasant and calming scent too. The added hyaluronic acid hydrates skin over a prolonged period by eliminating dry skin patches and diaper rash. Moreover, a small percentage of dimethicone acts as an oxidizing agent for free radicals, thus acting as a mild sunscreen during sunny days. Furthermore, added allantoin promotes skin healing and chemical silicone helps seal of diaper wetness helping avoid an itchy rash. The addition of cholesterol may raise eyebrows in some individuals but in lotions, it acts as a skin-identical ingredient and helps maintain healthy skin barrier function. Baby lotions were invented way back, and are essentially a mixture of water, essential oils, extracts and vitamins that are combined under controlled conditions. Their main use is to condition, moisturize and protect the tender skin of children. I would like to say that today we have introduced some of the most popular options of baby lotions that are currently on the market. It is now up to you to decide what your baby’s skin needs are and what baby lotion will suit him or her best. 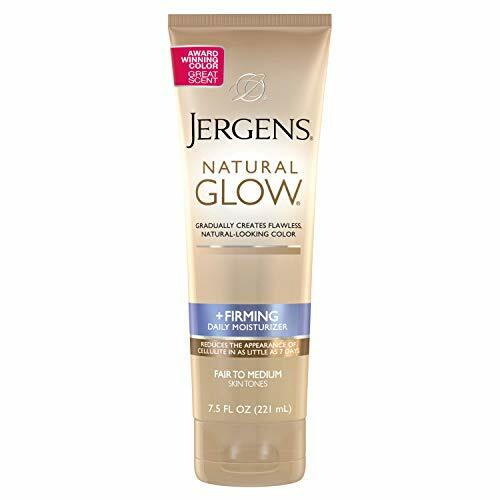 All of the above lotions are hypoallergenic; however, if for some reason you notice certain reaction after use, stop and see if that reaction will pass. If it does, then that could mean that you might want to try another one.